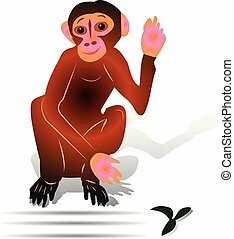 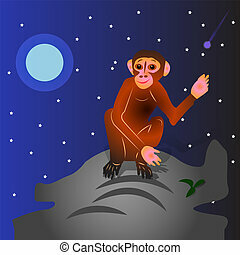 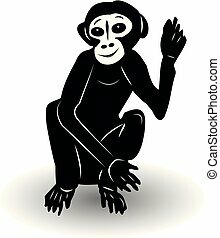 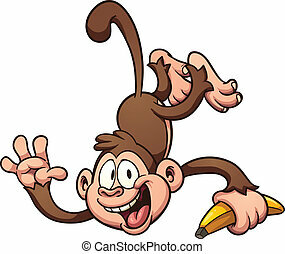 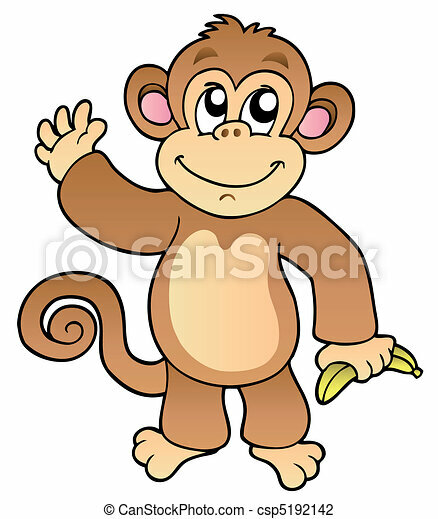 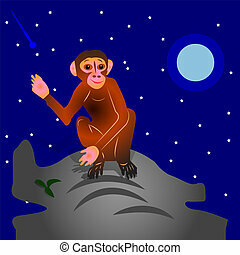 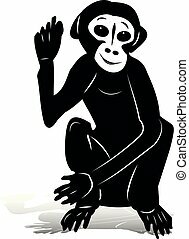 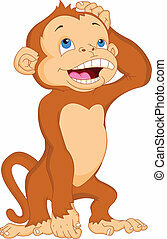 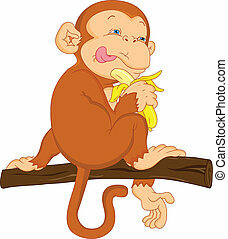 Cartoon waving monkey with banana - vector illustration. 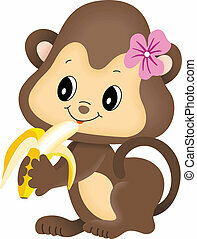 Scalable vectorial image representing a Girl Monkey eating banana, isolated on white. 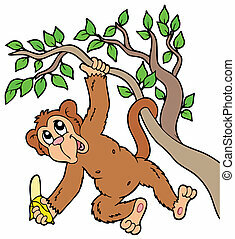 Monkey with banana on tree - vector illustration. 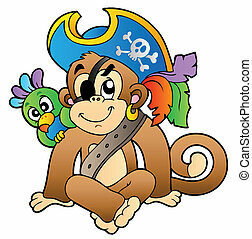 Pirate monkey with parrot - vector illustration. 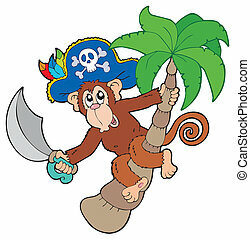 Pirate island with monkey - vector illustration. 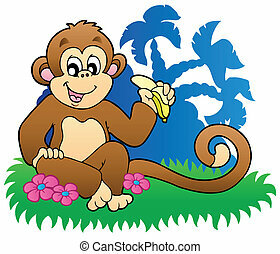 Monkey eating banana near palms - vector illustration. 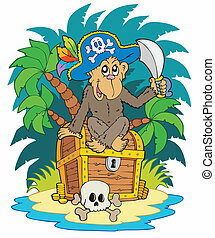 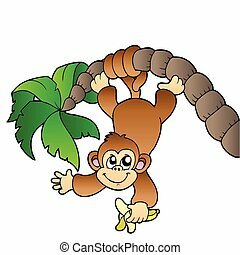 Pirate monkey with palm tree - vector illustration. 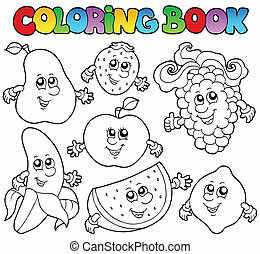 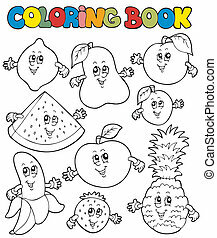 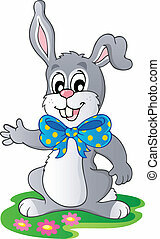 Coloring book with cartoon fruits 1 - vector illustration. 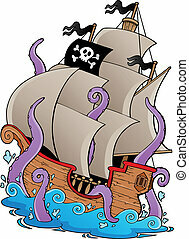 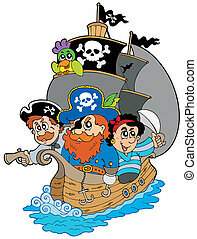 Old pirate ship with tentacles - vector illustration. 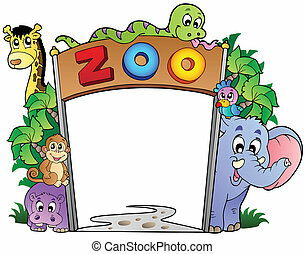 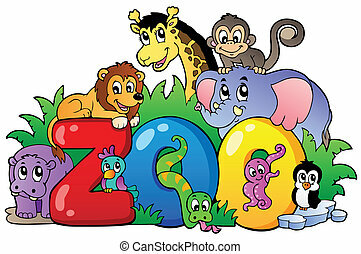 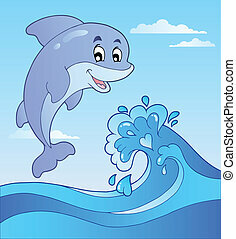 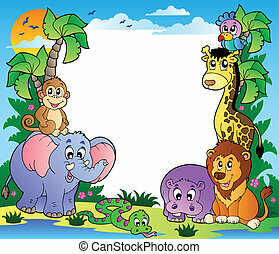 Frame with tropical animals 2 - vector illustration.